InSinkErator Hot Water > Boiling Hot & Cold Water Kitchen Tap (Brushed Steel). 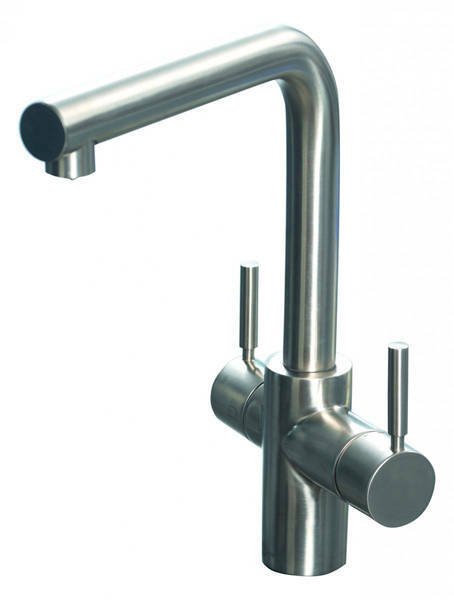 3 in 1 Instant boiling hot, regular hot and cold water filtered kitchen tap in brushed steel. 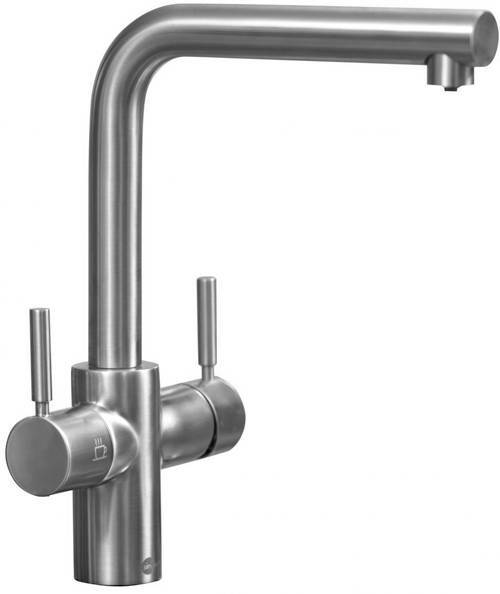 Adore this contemporary Italian designer tap. 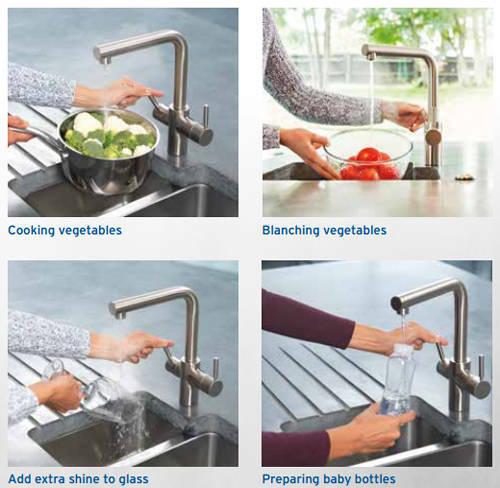 3 In 1: Supplies filtered cold water, regular hot water or steaming boiling water. 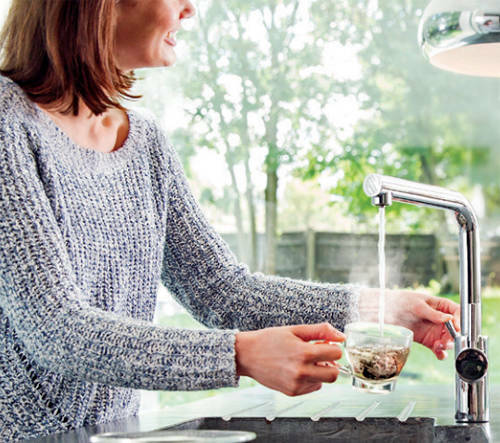 Replace your kettle with this kitchen tap. 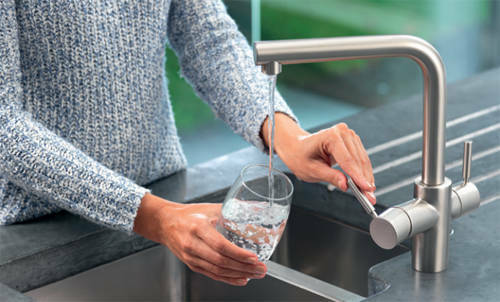 Safety push down lever dispensing filtered steaming hot water. 1 tap hole deck mounting. Made of solid high quality low lead brass with brushed steel finish. 2 years warranty: 2 years full InSinkErator warranty on tank (tap 5 years).